This series of impact crusher are optimized after adopting advanced techniques. Impact Crusher can crush granite, basalt, bluestone, etc the diameters of which are from 100mm to 500mm, and its crushing compression strength is not more than 320Mp. stone impact crusher features: big reduction ratio, high crushing efficiency, and convenient maintenance. The final product is desirable device for aggregation used in highway and railway surface and water and electricity industry. impact crusher is a new optimized product that our company has adopted foreign and domestic advanced technology. This series of impact crusher can handle various kinds of materials which is below 350mm, and whose compression strength is below 320Mpa. Impact crusher has the characters of big crushing rate, high crushing efficiency, easy maintenance and the like. Its end particles are cubic forms, which is the ideal processing equipment adopted in senior highway pavement and build utilities. Impact crusher is widely used in stone crushing sphere of highway construction, water conservancy project, building and the like as a result of its superior performance. 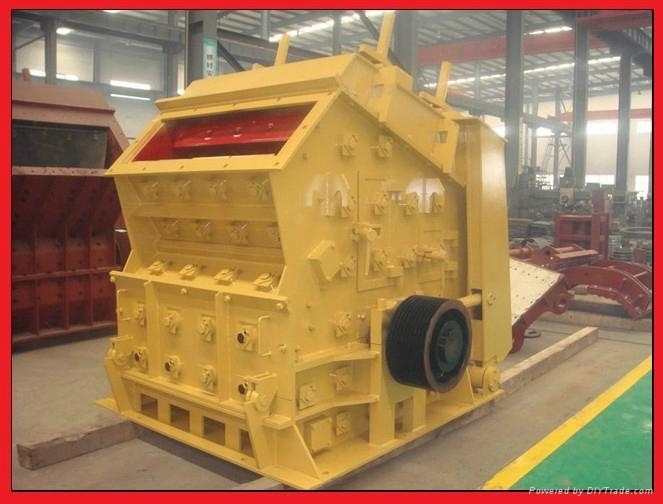 impact crusher is the machine which breaks materials using the impact energy. The rotor rotates of our mobile crusher with a high speed driven by power motor when the machine is working. When the materials get into hammer effect area, they are impacting to break with the hammer on the rotor and then threw to the impacting position to take another crushing. After that they spring back to hammer impacting area from impact wrist plate to take crushing again. This procedure repeats itself. The materials get into 1,2,3 impact cavity from big to small to take repeated crushing. When the material is crushed to the required size, it's discharged from the outlet. The material's discharging size and shape can be changed through adjusting the gap between impact frame and rotator.